Stanley Classic Vacuum Bottle Just $19.82! Down From $40! You are here: Home / Great Deals / Amazon Deals / Stanley Classic Vacuum Bottle Just $19.82! Down From $40! Don’t miss this deal from Amazon! Get this Stanley Classic Vacuum Bottle for just $19.82, down from $40.00 PLUS FREE shipping with Amazon Prime for orders $25 or more! Keep your coffee hot all day or enjoy your favorite iced drink until the next day! 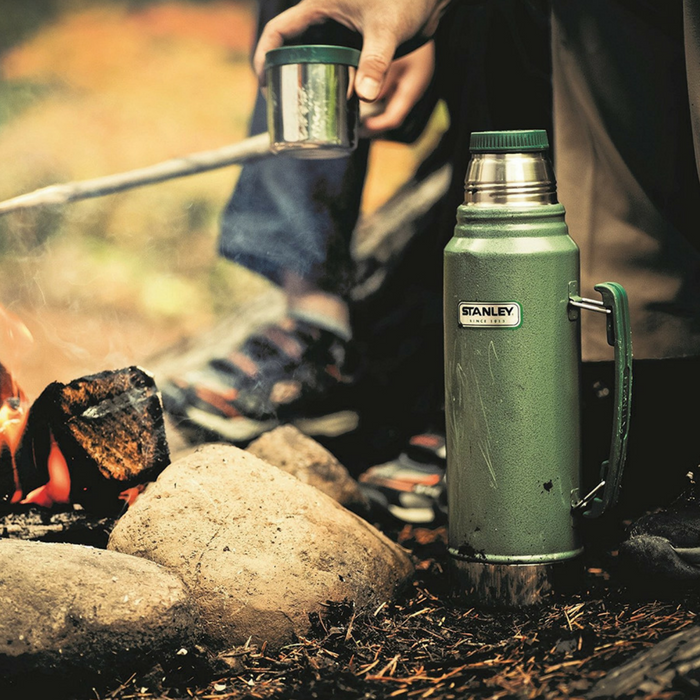 This Stanley Classic Vacuum Bottle keeps your coffee piping hot and your cold drinks for up to 24 hours. It is leak proof – pack and travel with confidence. This vacuum bottle is easy to clean, with a wide mouth allowing you for easy filling and cleaning. It also has Hammertone powder coat can take a beating and provides a classic look, making it timeless and durable!